from Mark Goliger, COO, Right at Home Canada. If you’re looking into buying a franchise, congratulations! You’ve taken the first step on the path to owning your own business. This decision can be a life-changing process – you’re not only making a radical career change, but you’re also pouring your own time, money and sweat into a business that you can grow into something of value, both intrinsic and financial. As you begin this journey, your head is probably telling you to focus on the return on investment, average unit volumes and other financial aspects. But before taking your next step, consider trying this – listen to your heart, too. It might just be the key to achieving true career happiness. When it comes to purchasing a franchise business, there’s usually one common factor fueling the decision – you’re ready to be your own boss. But beyond that, have you asked yourself why you chose to leave behind a corporate life to become a small business owner in the first place? It’s probably not solely for financial gain, but instead to satisfy what your heart is saying will make you happy. Someone may choose to go down the franchising path because they’re unsatisfied with the monotony of a standard nine to five job, or they simply need a reinvigorating change of pace. Whatever the case, it’s important to take stock of these catalysts – this can ensure the business you choose will be more fulfilling than your last endeavor. In my experience as chief operating officer of Right at Home Canada, I’ve found that in the midst of researching a potential new business, a number of factors typically determine a potential franchisee’s final decision: What’s the cost? What’s the return on investment? Is there competition in the area? How much training will I need? While these hard facts are all extremely important, the other factors – the softer side – of the business decision need to be given equal attention. At the end of the day, if your heart isn’t in it, that storefront will eventually feel like a prison. But if your heart is in it, this journey will end up not feeling like work at all. We see this every day at Right at Home, a franchise company that provides in-home companionship, personal care and nursing assistance to seniors and disabled adults who intend to continue to live independently. Our new franchisees join the Right at Home family because our mission hits close to home and because they want to make a difference in people’s lives, not because they’re seeking pure financial gain. Of course, any new business venture will come with its learning curves, but if your heart is as invested as your head, breakthroughs are easier to achieve. Ultimately, the key to success in franchising falls squarely in the franchisee’s hands. Many prospective franchisees assume that when they put up that “open” sign, the profits will just start streaming in. Instead, think of it this way: When you sign that franchise agreement, it’s like welcoming a newborn baby into the family. You’ll get great support from corporate and all the tools you need to succeed. To be properly nurtured, this baby needs every ounce of your attention and love – your head and your heart. Whether it’s pizza, fitness, sandwiches or senior care, make sure you’re pouring your whole self into it. Before you take the leap with the right franchise company, ask yourself this one question: Is this a product or service that you feel passionate about? If the answer is yes, then dive deeper and analyze the business to determine if it’s right for you. Your success in a franchise hinges on finding that perfect balance, so it’s important to examine both the hard and soft sides of the business before starting your franchise journey. 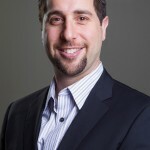 Mark Goliger is the Chief Operating Officer for Right at Home Canada. Prior to his tenure with the Franchisor and from 2001 to 2012, Mr. Goliger was Vice-President of operations and Sales for the Ontario, Canada Master License for Crestcom International, an international management training franchise with headquarters in Denver, Colorado. With a unique approach and a higher level of quality of care, Right at Home Canada offers both non-medical and medical care to seniors and disabled adults who want to continue to live independently. Each caregiver is thoroughly screened, trained and insured prior to entering a client’s home. Right at Home Canada provides the Right Care, focusing on the Right People doing the Right Things the Right Way for the Right Reason. Right at Home Canada has offices in Burlington, Oakville, Niagara Falls, St. Catharines, Mississauga, Hamilton, the Georgian Triangle, Brampton, Guelph, Cambridge, Kitchener-Waterloo, London, Etobicoke South/West Toronto, Etobicoke North and Calgary. 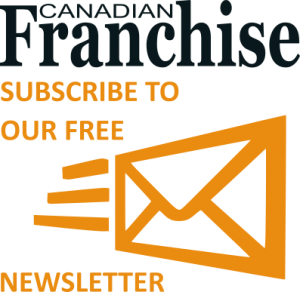 For more information on franchise opportunities with Right at Home Canada, contact Mark Goliger at mgoliger@rightathomecanada.com or visit www.rightathomecanada.com/franchise-opportunities. ← Are you Ready to Pass the Torch?